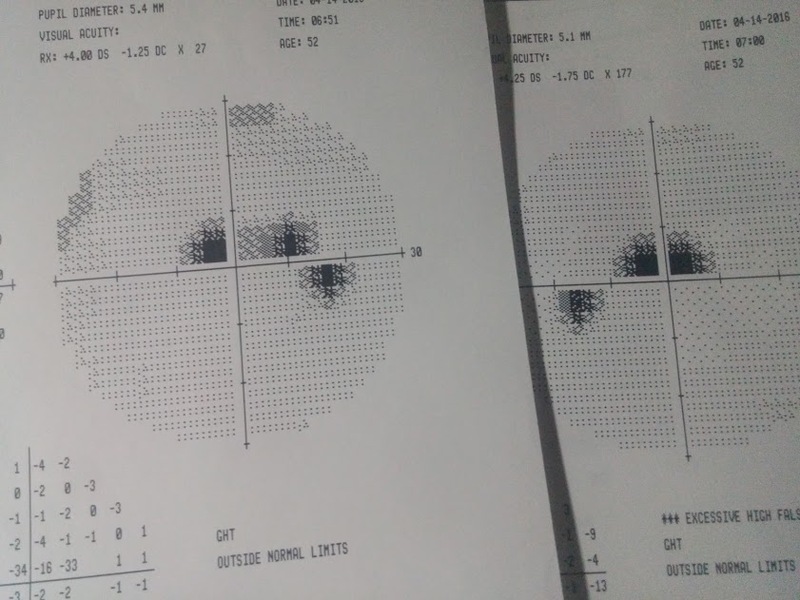 54 year old female has the attached visual field defects. The most successful strategy to prevent her from loosing her central vision is what? Answer: This patient has visual field defects that are focal, deeper, closer to fixation and hugging the midline. A female middle aged patient with this defects is most likely to have normal tension glaucoma. Local vascular factors play an important role. More likely to suffer with migrane and raynaud phenomenon vs POAG. According to the CNTGS, 30% IOP reduction will reduce the rate of VF progression to 12% from 35% suggesting that IOP does play a role.